Newsletter for 4/23/2019: Montenegro Arrests Two in Army for 60kg of Cocaine on Naval Ship. N. Macedonia Elections Update. Pope’s Schedule in MKD & Bulgaria. Dodik Denies Border of BiH & SRB Again. Newsletter for 4/17/2019: US Embassy in BiH to Look Into RS Reserve Police. Serbia and Russia Sign MoU to Build Nuclear Research Facility. Election Campaigning in N. Macedonia Enters Final Week. Prince Edward to Visit Slovenia. Newsletter for 4/15/2019: Exclusive Interview with Presidential Candidate Gordana Siljanovska-Davkova in MKD. Rep. Paul Gosar (R- AZ,4) in Slovenia. Maine National Guard Ships Out to Montenegro. 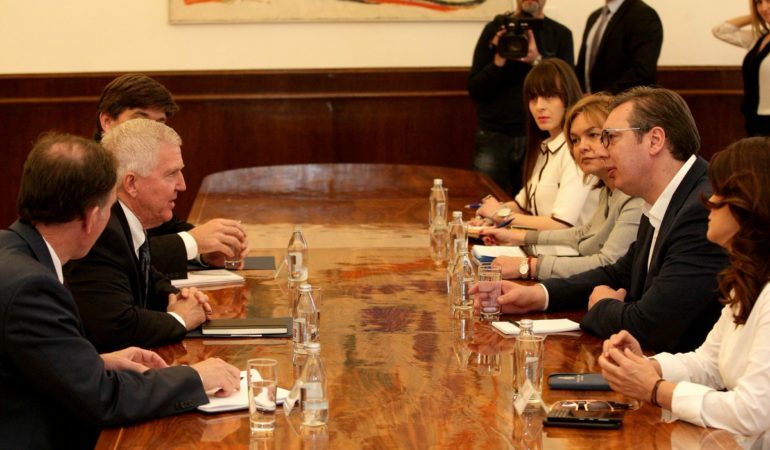 Newsletter for 4/11/2019: US and Serbia Sign Agreement on Tax Evasion. China and Croatia Entering a “Diamond Period”. EU Comm. Hahn Confident for Positive Recommendation for MKD. Newsletter for 4/10/2019: US Official Matthew Palmer in Albania. Chinese Premier Arrives in Croatia for 16 +1 Summit. Croatian Intelligence Scandals Heat Up in BiH and Slovenia. #Montenegro Arrests Two in Army for 60kg of Cocaine on Naval Ship. German Chancellor Angela Merkel has congratulated Ukrainian President-elect Golobor— I mean, Volodymyr Zelenskiy on his win. Great to be back in Washington DC, to talk about #BiH, the #WesternBalkans and UK-US cooperation. Looking forward to picking some great brains, including @majda_ruge, @JasminMuj, and Hoyt Yee.